Home » Blog » News » “Cryptid Hunters” Contest ends September 1st! “Cryptid Hunters” Contest ends September 1st! 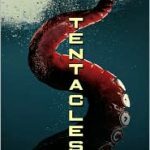 The contest for a signed hardback copy of “Tentacles” (the sequel to Cryptid Hunters) is coming to an end. To enter go to my web page, click on the Contest! button on the right side of the journal, and follow the instructions carefully. Good Luck!